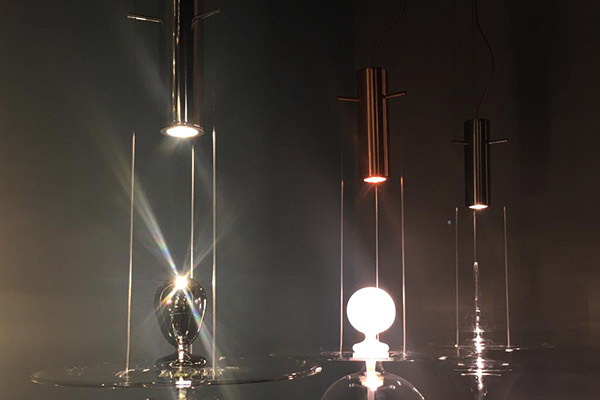 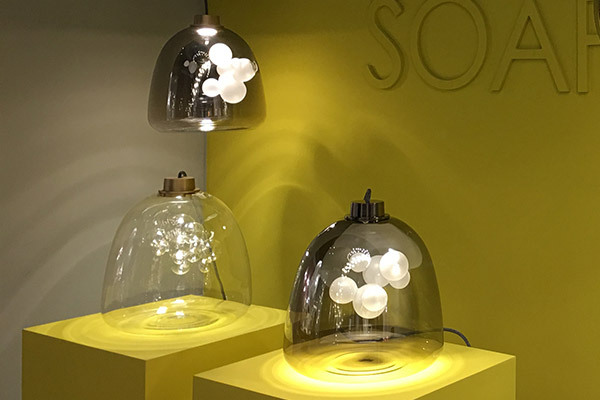 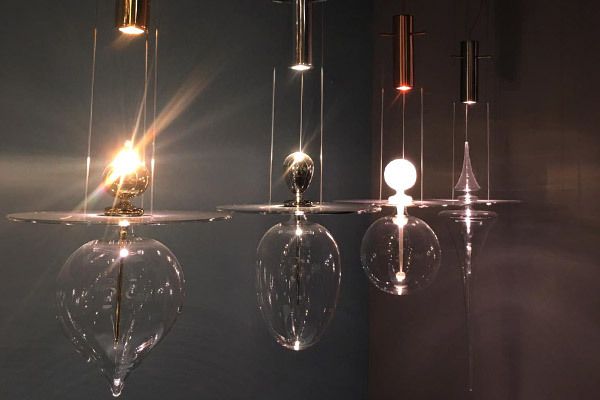 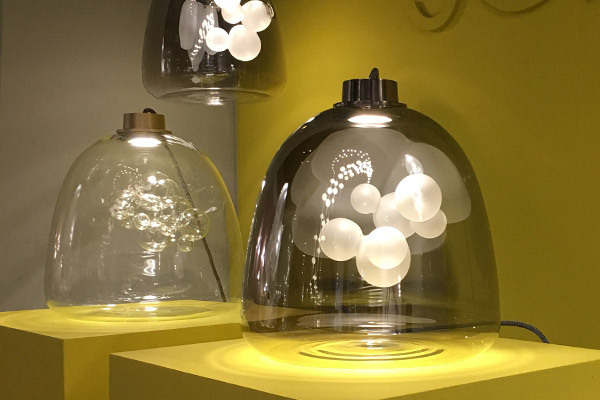 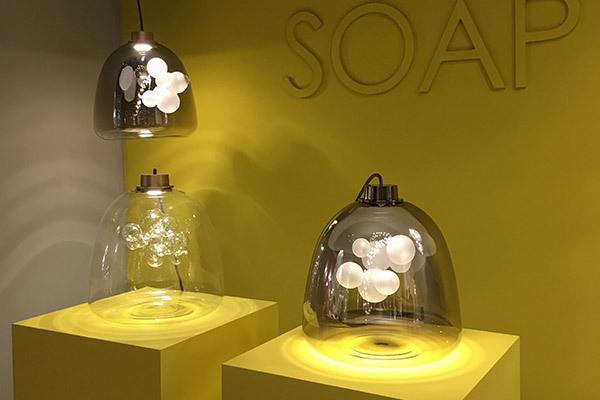 The new evocative creations by melogranoblu, made of hand-blown glass, are the protagonists of the 30th edition of Euroluce, the biennial international fair that, at Salone del Mobile in Milan, presents the most innovative solutions in the field of lighting. 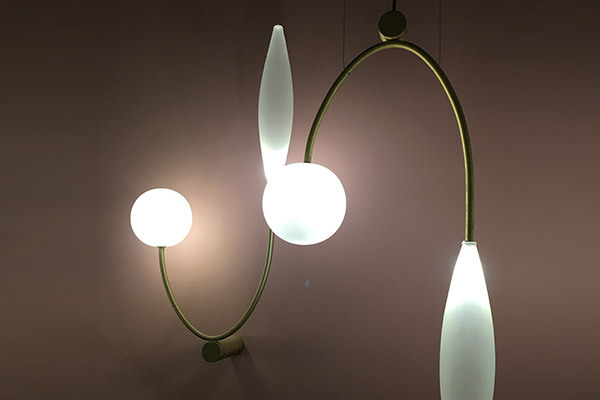 Vintage shapes in a contemporary transposition: a collection of suspension, floor and wall lamps inspired by the curved and thin lines of the tuning fork. 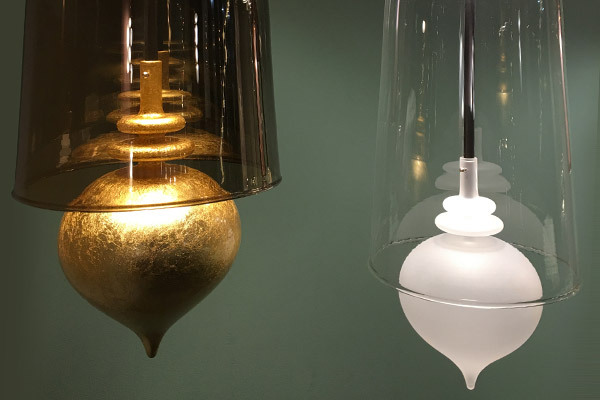 A combination of two noble materials: brushed natural brass and frosted glass. 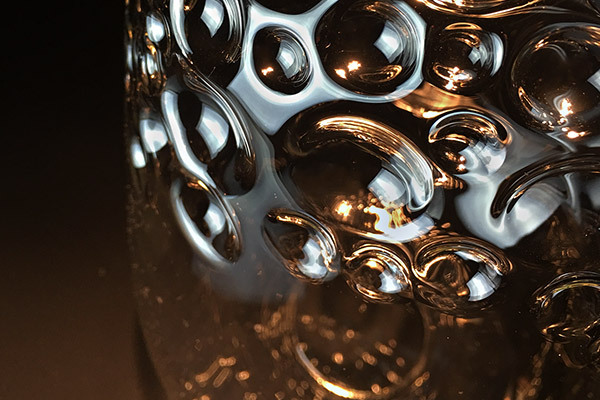 The curves of the glass and the design of the structure create subtle balance games. 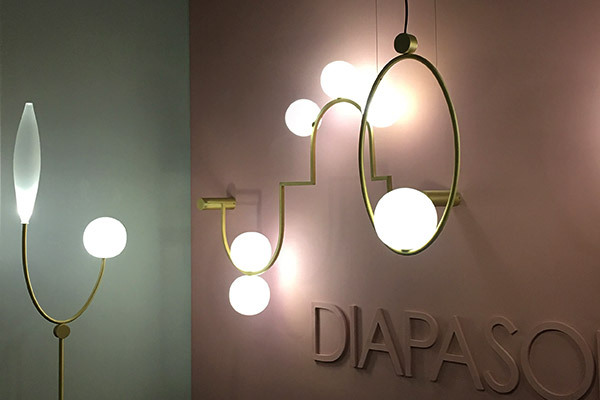 The Diapason collection is designed by the designer Giorgio Soressi for melogranoblu. 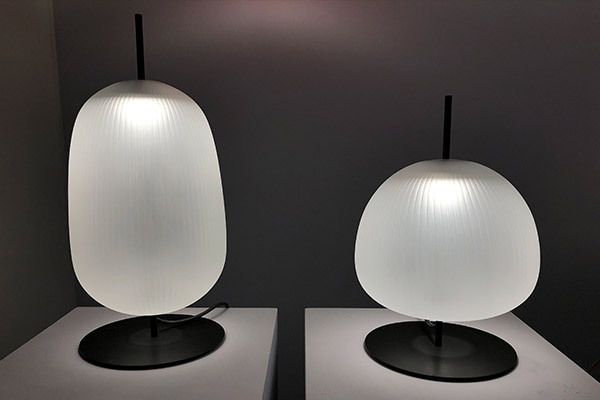 The suspension lamps that bear the name of ancient divinities are made of blown glass characterized by thin lines that create a pleated effect. 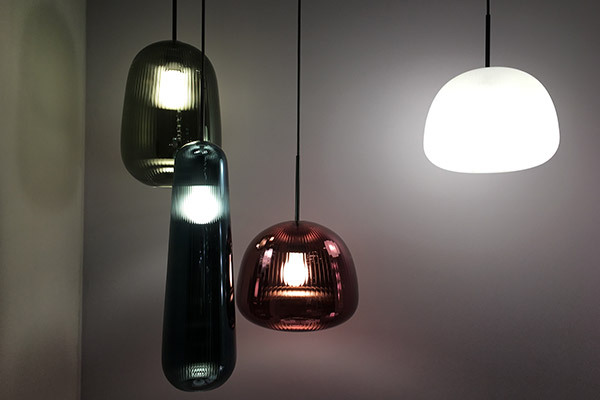 In emerald, sapphire, amethyst or white frosted colors, they are also available in table version. 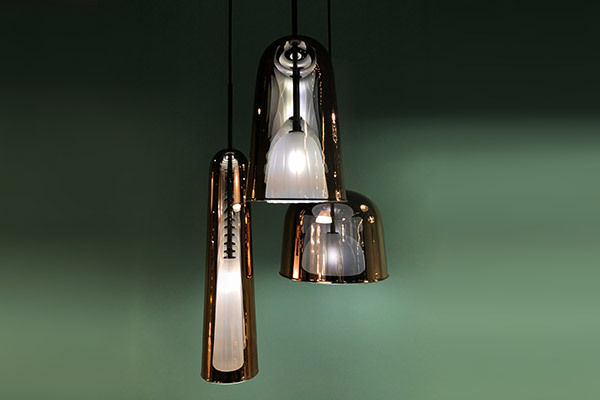 A suspension lamp with a double bell shape and a metallic copper external finish that recalls haute cuisine equipment. 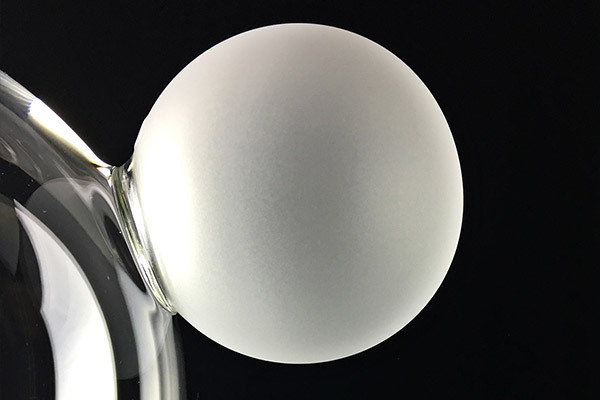 Inside it hides a second bell in white frosted ruled glass. 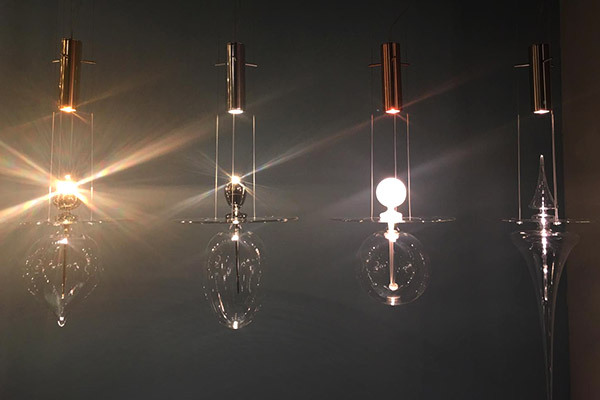 Available in three sizes, with different heights and diameters. 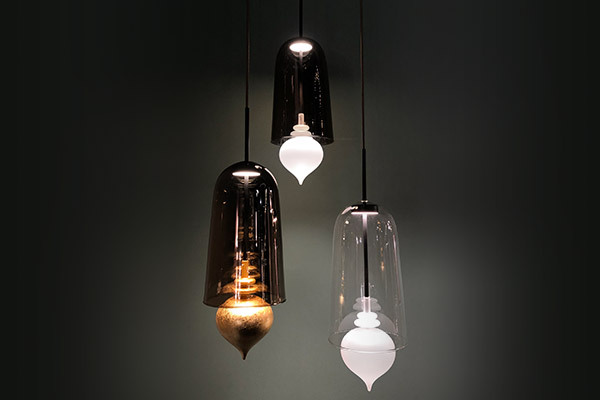 Suspension lamp in brown metallic glass with white frosted or gold leaf pendant. 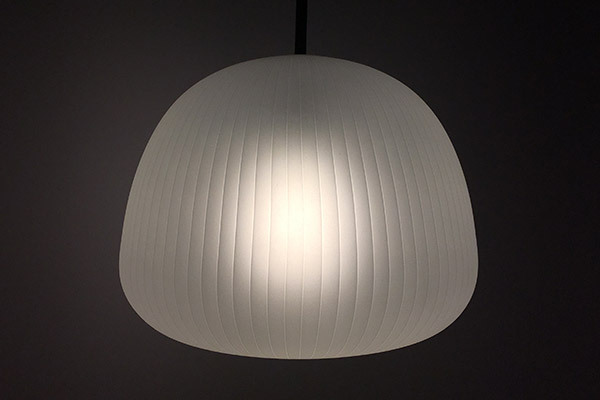 Its shape evokes the typical Tibetan ritual bells. 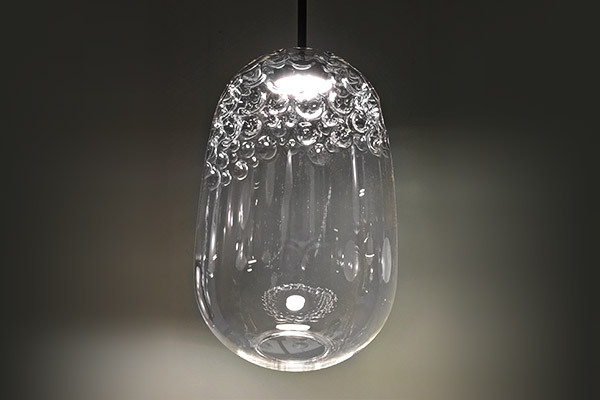 It is also available in transparent glass bell with frosted pendant version. 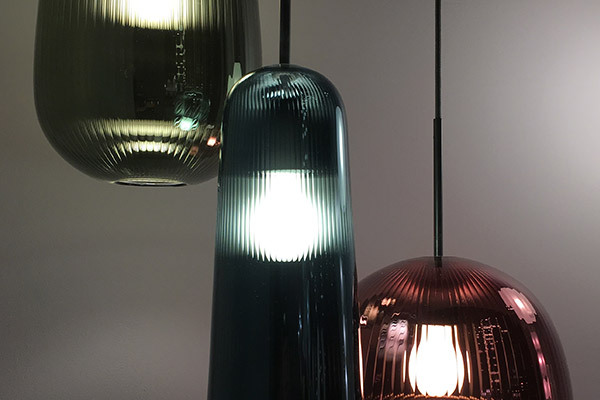 Suspension and table lamp in transparent blown glass with opaque anthracite metal painted frame. 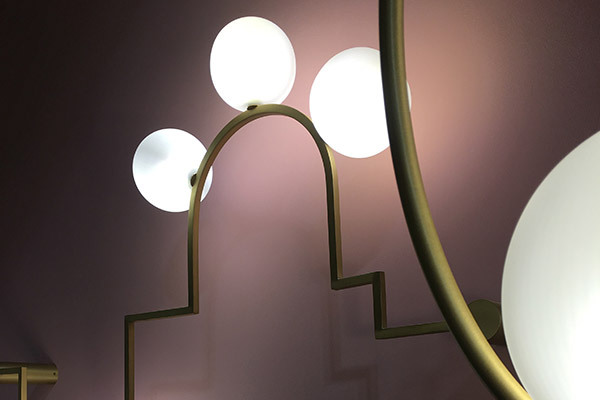 The precious handwork made it possible to obtain an irregular texture reminiscent of the manufacturing of shark tanned leather, also called "galuchat" from the name of its first user, Jean-Claude Galuchat, a French craftsman at the service of King Louis XV. 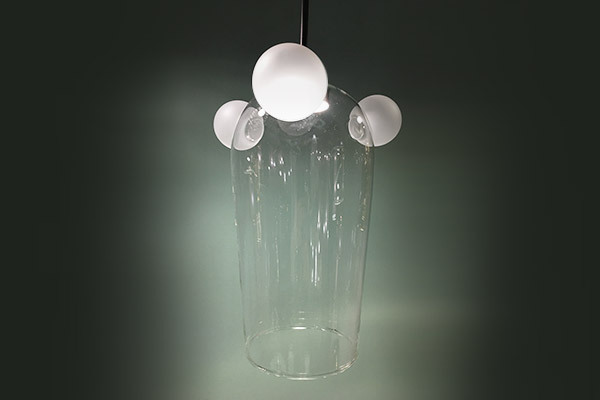 Its bell-shaped transparent blown glass with three frosted spheres is a tribute to Bartolomeo Colleoni, a historical “condottiero” from Bergamo (Italy) of the 1400s. 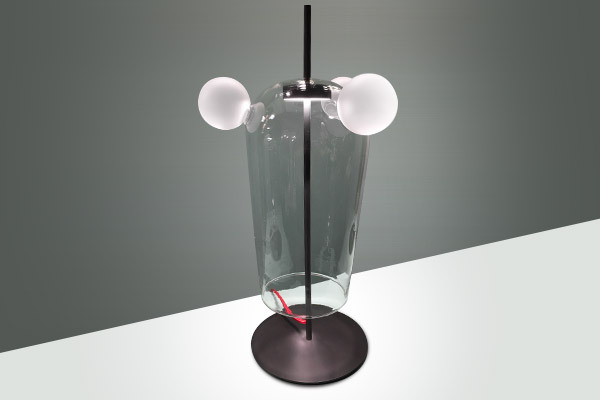 Available in both table and suspension versions. 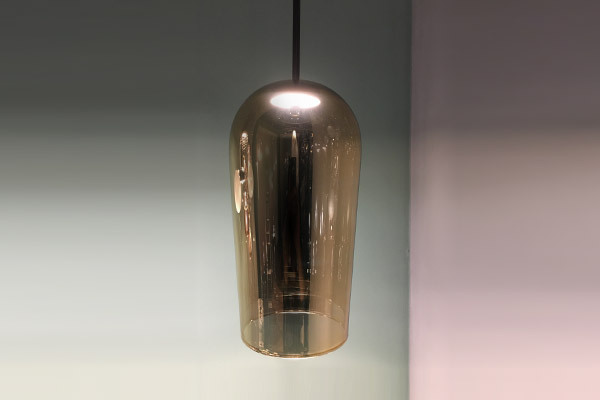 Suspension and table lamp made of gold metallic blown glass: a soft, heavy, ductile and malleable metal whose symbol is Au, from the Latin “Aurum”. 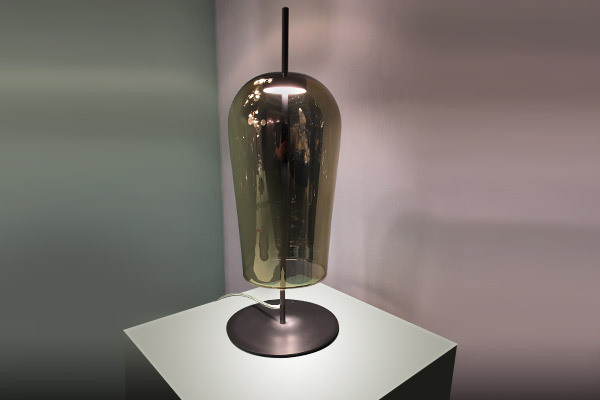 The table lamp that hides a precious secret, now also available in a metallic version. 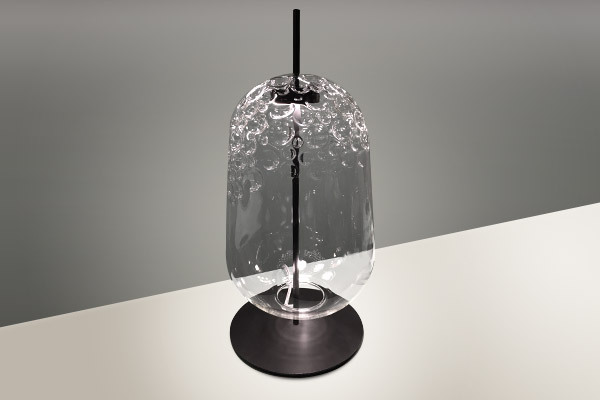 The frosted sculpture hidden inside comes alive thanks to the light source that makes the external metal finish transparent. 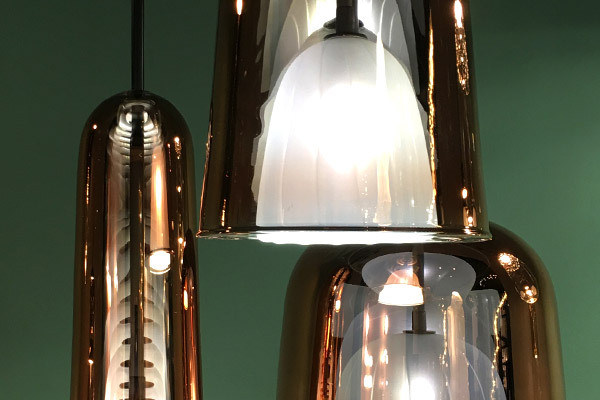 Copper, titanium and gold: three new finishes for the frames of the iconic suspension lamps collection.